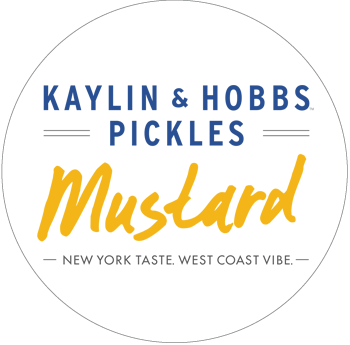 New York Pickles Vancouver | Kaylin & Hobbs Pickles - New York Taste. West Coast Vibe. WHERE DID ALL THE GOOD PICKLES GO? We’re two guys from Vancouver (Chris and Scott) who couldn't find a good tasting pickle on the West Coast. So we decided to start a pickle company to always have our own supply of good pickles. 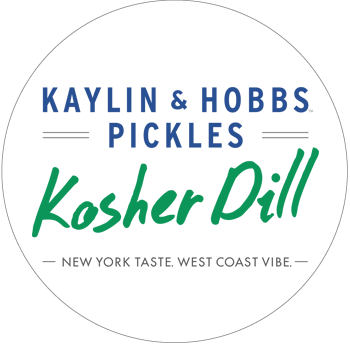 And where do you find the best tasting pickles? That's easy, New York. 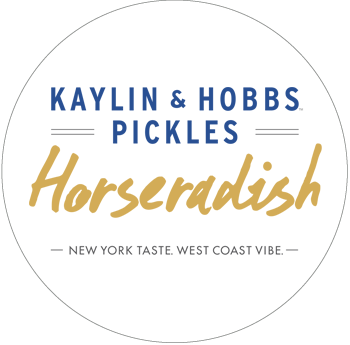 Just ask Scott Kaylin a born and bred New Yorker who says “It’s 120 years of pickle making history rolled into one great pickle." But it's a lot of things mixed together really like the best ingredients, hard work, and a desire to stop at nothing until you get the perfect taste. 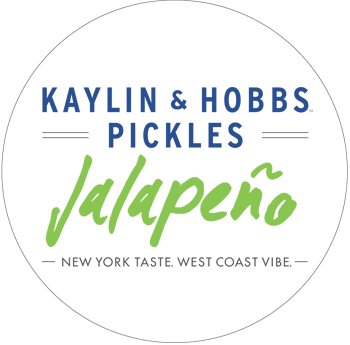 We serve Jalapeño, Kosher Dill, Half Sour, Horseradish, Mustard, Spicy Dill and Full Sour pickles. We also have sweet pickles like Honey Mustard and Bread and Butter. And they're all served deli-style right out of pails, like old school Lower East Side New York. They're Gluten Free, Vegan and Kosher too. Serve them cold with a West Coast IPA, with charcuterie on a beach watching Floatplanes land, or simply leaning against your fridge. For inquiries, questions, or to join our mailing list fill out the form below. 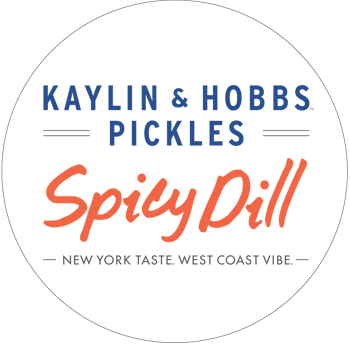 We do not offer shipping at this time, you can purchase our pickles at our Granville Island Market or Lonsdale Quay locations in Vancouver, and from a number of grocery stores, select restaurants and breweries in BC and Alberta. For the full list click here. Q. 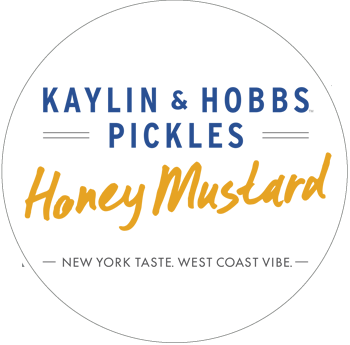 Where can I get Kaylin & Hobbs Pickles? A. Click here for a full list. A. 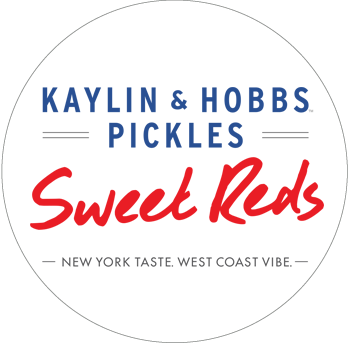 Unfortunately not at this time, our pickles last up to 30 hours out of the fridge so shipping can be quite expensive. We do however sell a Pickle Traveler at our Granville Island location, it’s a container designed for checked luggage if you’re flying. Q. How long do your pickles last in the fridge? A. 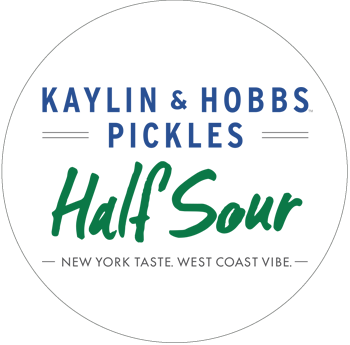 Three to four months for our vinegar pickles, the fermented pickles (Half Sour and Full Sour) can last longer, they just get softer but more sour. Q. Should I keep them in the brine? A. Keeping them submerged in the brine extends shelf life. If after eating a few you find the brine getting low, cut the pickles in half and stuff them back in the brine to keep them fresh. Q. Which grocery stores are you in? Q. Do you have fermented pickles? A. 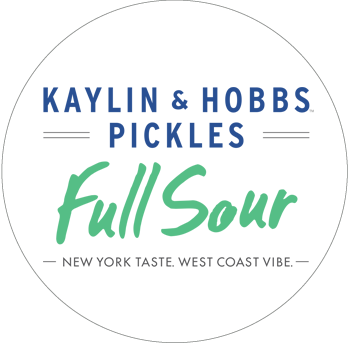 We have Full Sour and Half Sour pickles they are lacto-fermented, however you can only purchase these at our Granville Island Market location and they are not available for wholesale or grocery. Q. Are they gluten free? Q. Any sugar in your pickles? A. Yes Sweet Reds and Honey Mustard have sugar. All our other pickles have no sugar. Q. Can your pickles go across the border to the US? A. They go all the time. They’re not considered fresh fruit or vegetables so pickles are fine to cross the border.